Once again, they were hundreds of students to compete ! 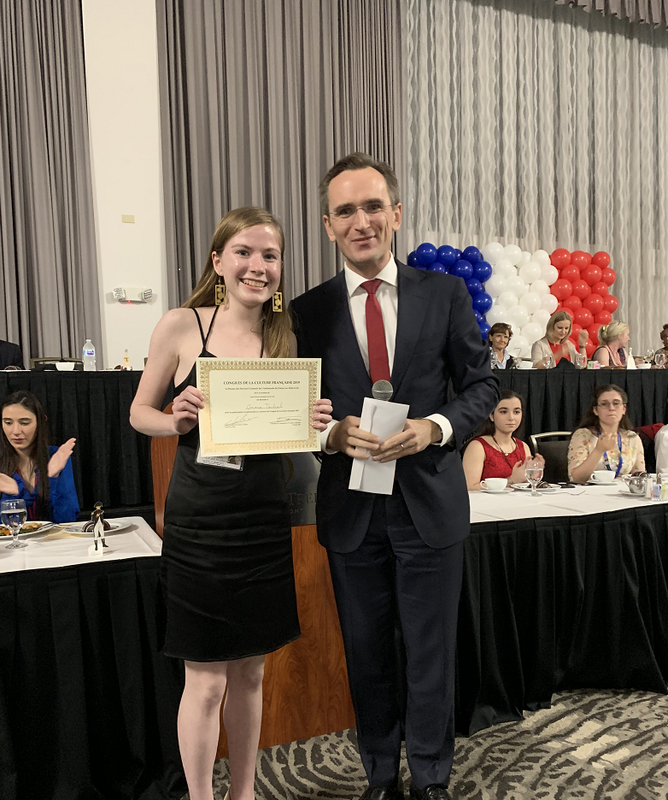 The greatest contest focusing on French language and French literature held in the U.S took place in Florida for the 66th time this year (From March 7 to March 9)! Each year, the "Congrès de la cutlure française" attracts hundreds of students from all over Florida. During 3 days, High-school students compete in French in the city of Orlando. Consul General Clément Leclerc attended the competition to thank organisers and participants of this unique competition. On this occasion, Mr. Leclerc awarded two scholarships to students. 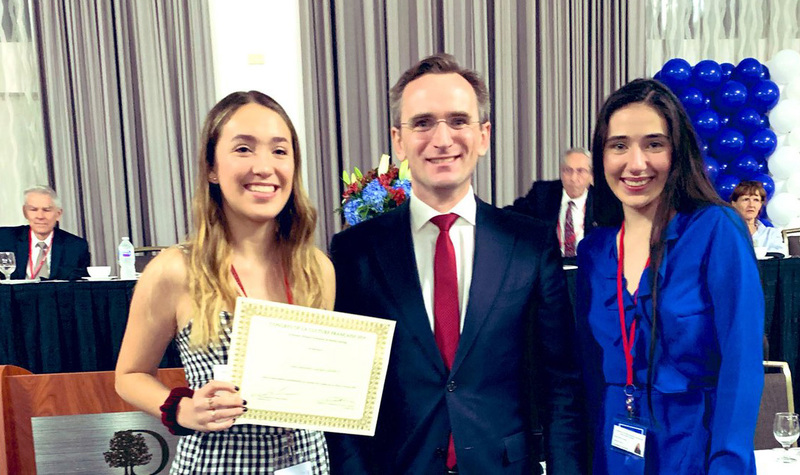 These special scholarships will allow them to continue studying French language and literature at the university. Our warmest congratulations to both of them! Polk Museum honors French Culture ! 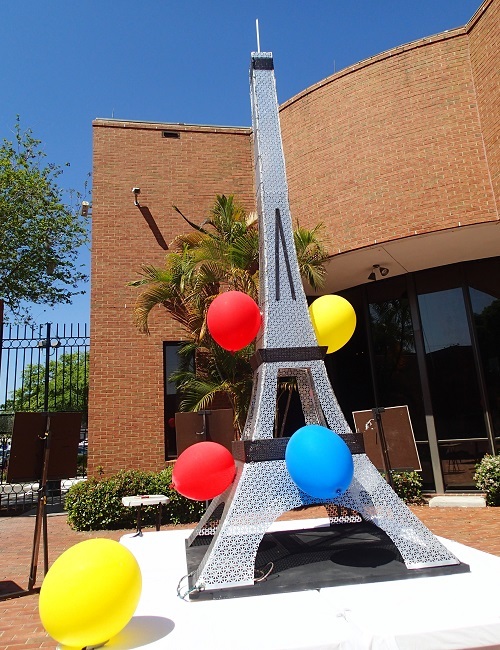 On March 23, during the inagural La Francophonie Day, the Polk Museum of Art in Lakeland co-organized by the France Florida Fondation for the art helped celebrate the French influences that helped inspire culture within the city. On this occasion, the traveling exhibit of Edgar Degas, the famous French impressionist artist, ended its three-month run at the museum. 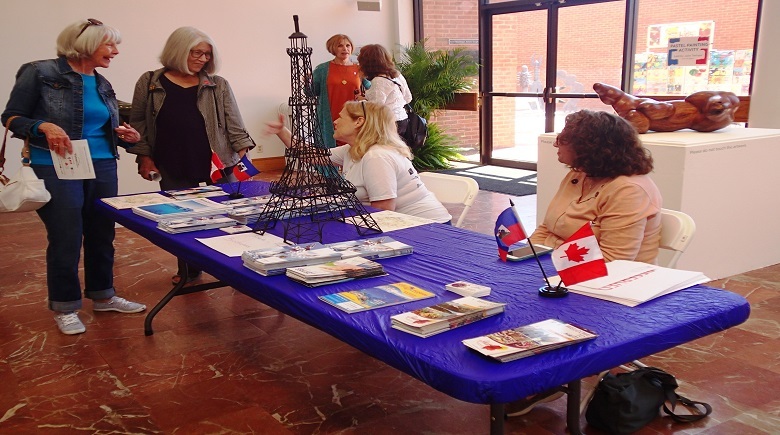 Aside from guided tours of the exhibit, the museum celebrated French language and culture with various activities throughout the day. The event that day was represented by French dignitaries from six countries (France, Canada, Haiti, Belgium, Switzerland, and Monaco) as well as representatives from cities within the state, including Miami, Orlando and Clearwater. 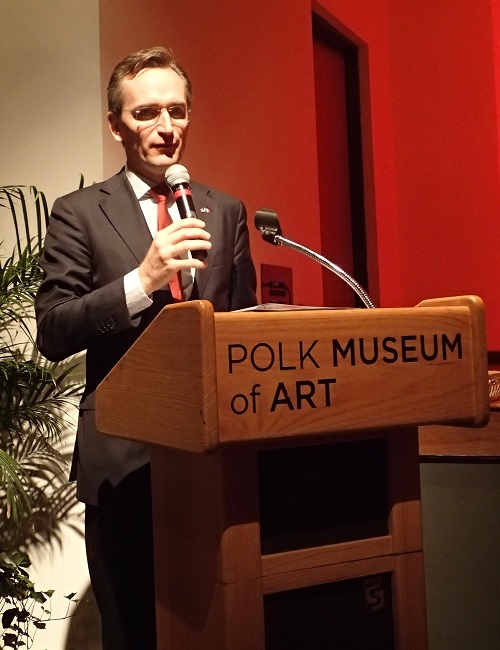 Clément Leclerc, Consul General of France in Miami, mentioned how he appreciated the museum’s embrace of his native culture and language. "More than simply a language spoken by people of French heritage, French is the language through which ideals and values are spread".